…Edward Perello from Desktop Genetics. The prize was 3 bottles of Berlin Beer, brewed by Philip himself. It was a tough job, and each of the 4 had to defend and justify their technology, business plans and delivery, along with other aspects of their startup. 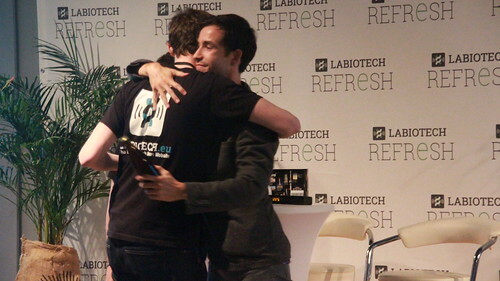 Labiotech Refresh – Berlin. May 24th, 2016.